Mr. Addison was elected to our Board of Directors in October 2009. Mr. Addison has been the Chief Executive Officer of Addison Leadership Group, a company that provides leaders training and consulting, since April 2015. He also serves as Non-Executive Chairman of Primerica Distribution. Mr. Addison served as the Company’s Co-Chief Executive Officer from 1999 through March 2015 and served the Company in various capacities since 1982 when he joined us as a business systems analyst. He has served in numerous officer roles with Primerica Life Insurance Company (“Primerica Life”), a life insurance underwriter, and Primerica Financial Services, LLC, a general agent, both of which are subsidiaries of Primerica. He served as Vice President and Senior Vice President of Primerica Life, as well as Executive Vice President and Group Executive Vice President of Marketing. 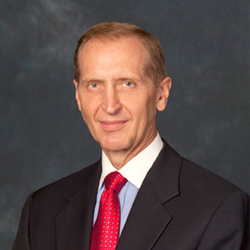 In 1995, he became President of the Primerica operating unit of Citigroup Inc. (Citigroup) and was promoted to Co-Chief Executive Officer in 1999. Mr. Addison serves on the Board of the National Monuments Foundation. Mr. Addison received his B.A. in Economics from the University of Georgia and his M.B.A. from Georgia State University. Joel M. Babbit was elected to our Board of Directors in August 2011. Mr. Babbit is the Co-Founder and Chief Executive Officer of Narrative Content Group, LLC (NCG), one of the leading resources for the production and distribution of digital content. Prior to launching NCG in 2009, Mr. Babbit spent over 20 years in the advertising and public relations industry, creating two of the largest advertising agencies in the Southeastern US – Babbit and Reiman (acquired by London-based GGT) and 360 (acquired by WPP Group's Grey Global Group). 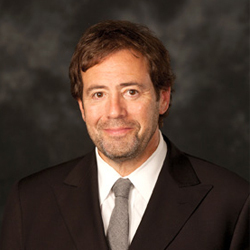 Following the acquisition of 360 by Grey Global Group in 2002, Mr. Babbit served as President and Chief Creative Officer of the resulting entity, Grey Atlanta, until 2009. He also previously served as President of WPP Group's GCI, a public relations firm, and as Executive Vice President and General Manager for the New York office of advertising agency Chiat/Day Inc. Following his hometown of Atlanta being awarded the 1996 Summer Olympics, and at the request of Mayor Maynard Jackson, Mr. Babbit took a leave of absence from the private sector to serve as Chief Marketing and Communications Officer for the City and as a member of the Mayor's cabinet. Mr. Babbit serves on the Board of Directors of Greensky, Inc. He received an A.B.J. degree from the University of Georgia. P. George Benson was elected to our Board in April 2010. He is currently a Professor of Decision Sciences at the College of Charleston in Charleston, South Carolina. He served as the President of the College of Charleston from February 2007 through June 2014. From June 1998 until January 2007, he was Dean of the Terry College of Business at the University of Georgia. From July 1993 to June 1998, Mr. Benson served as Dean of the Rutgers Business School at Rutgers University and, prior to that, Mr. Benson was on the faculty of the Carlson School of Management at the University of Minnesota. 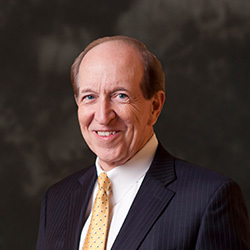 Mr. Benson currently serves as Chair of the Board of Directors for the Foundation for the Malcolm Baldrige National Quality Award, was chairman of the board of overseers for the Baldrige Award Program from 2004 to 2007 and was a national judge for the Baldrige Award from 1997 to 2000. Mr. Benson also serves on the Board of Directors of AGCO Corporation and Crawford & Company. Mr. Benson received a B.S. degree in Mathematics from Bucknell University, completed graduate work in operations research in the Engineering School of New York University and earned a Ph.D. in business from the University of Florida. 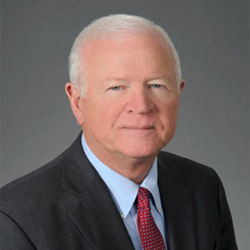 Senator C. Saxby Chambliss has been a partner with the law firm of DLA Piper since January 2015, where he is a member of the firm’s government relations and cybersecurity teams. Prior to that, he served as a U.S. Senator for Georgia from 2003 to 2015 and a U.S. Representative for Georgia from 1995 to 2003. During his tenure in the Senate, he served on the Senate Select Committee on Intelligence, where he was vice chairman from 2011 to 2014. While serving in that role, Senator Chambliss advocated for improved sharing of information between intelligence agencies and human intelligence-gathering capabilities, and he is one of the leading congressional experts on those issues. Senator Chambliss is also a legal expert with respect to cybersecurity matters. Senator Chambliss has served on the President’s Intelligence Advisory Board since 2018. Before entering Congress, he practiced general corporate law in Moultrie, Georgia. Senator Chambliss earned a Bachelor of Business Administration degree from the University of Georgia and a Juris Doctor from the University of Tennessee at Knoxville. Gary L. Crittenden was elected to our Board of Directors in July 2013. Mr. Crittenden has been a private investor, and has served as a non-employee Executive Director of HGGC, LLC (HGGC), a California-based middle market private equity firm, since January 2017. He previously served as a Managing Partner of HGGC from July 2009 to January 2017, Chairman of HGGC from August 2013 to January 2017 and Chief Executive Officer of HGGC from April 2012 to August 2013. From March 2009 to July 2009, Mr. Crittenden was Chairman of Citi Holdings, an operating segment of Citigroup that comprises financial services company Citi Brokerage and Asset Management, Global Consumer Finance and Special Assets Portfolios, and from March 2007 to March 2009 he served as Chief Financial Officer of Citigroup. He served as the Chief Financial Officer of the American Express Company from 2000 to 2007. Prior to American Express, he was the Chief Financial Officer of Monsanto, Sears Roebuck and Company, Melville Corporation and Filene's Basement. 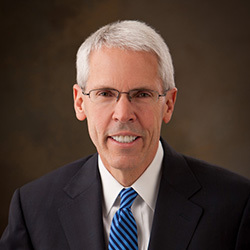 On three separate occasions, the readers of Institutional Investor Magazine named Mr. Crittenden one of the “Best CFOs in America.” Mr. Crittenden spent the first twelve years of his career at Bain & Company, an international management consulting firm, where he became a partner. Mr. Crittenden also serves on the Boards of Directors of Pluralsight, Inc. and Zions Bancorporation. He received a B.S. Degree from Brigham Young University and an M.B.A. from Harvard Business School. 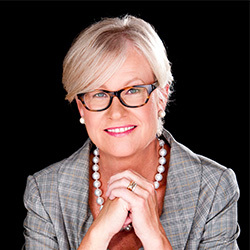 Cynthia N. Day was elected to the Company's Board of Directors in January 2014. Ms. Day has been the President and Chief Executive Officer of Citizens Bancshares Corporation and Citizens Trust Bank since February 2012. Citizens Bancshares Corporation was a publicly held corporation until January 2017. She served as Chief Operating Officer and Senior Executive Vice President of Citizens Trust Bank from February 2003 to January 2012 and served as its acting President and Chief Executive Officer from January 2012 to February 2012. She previously served as the Executive Vice President and Chief Operating Officer and in other capacities at Citizens Federal Savings Bank of Birmingham from 1993 until its acquisition by Citizens Trust Bank in 2003. Before joining Citizens Trust Bank, she served as an audit manager for KPMG. 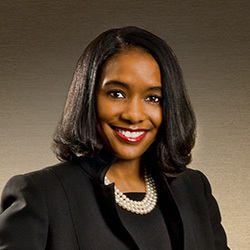 Ms. Day also serves on the board of directors of Aaron's, Inc., the National Bankers’ Association, the Georgia Bankers Association and the Atlanta Area Council of Boy Scouts of America. She is a member of the Georgia Society of CPAs, and a member of the Rotary Club of Atlanta. Ms. Day graduated with a B.S. degree from the University of Alabama. Mark Mason, Chief Financial Officer, Citigroup Inc.
Mark Mason was elected to our Board in March 2010. He has been the Chief Financial Officer of Citigroup Inc. since March 2019. Previously he served as the Chief Financial Officer of the Institutional Clients Group (ICG) of Citigroup Inc. from September 2014 to March 2019, Chief Executive Officer of Citi Private Bank, a division of ICG, from June 2013 to September 2014; as the Chief Executive Officer of Citi Holdings, an operating segment of Citigroup that comprises financial services company Citi Brokerage and Asset Management, Global Consumer Finance and Special Assets Portfolios, from December 2011 to May 2013; as the Chief Operating Officer for Citi Holdings from January 2009 to November 2011. Mr. Mason joined Citigroup in 2001 and has also served as the Chief Financial Officer and Head of Strategy and M&A for Citigroup’s Global Wealth Management Division, Chief of Staff to Citigroup’s Chairman and Chief Executive Officer, Chief Financial Officer and Chief Operating Officer for Citigroup Real Estate Investments and Vice President of Corporate Development at Citigroup. 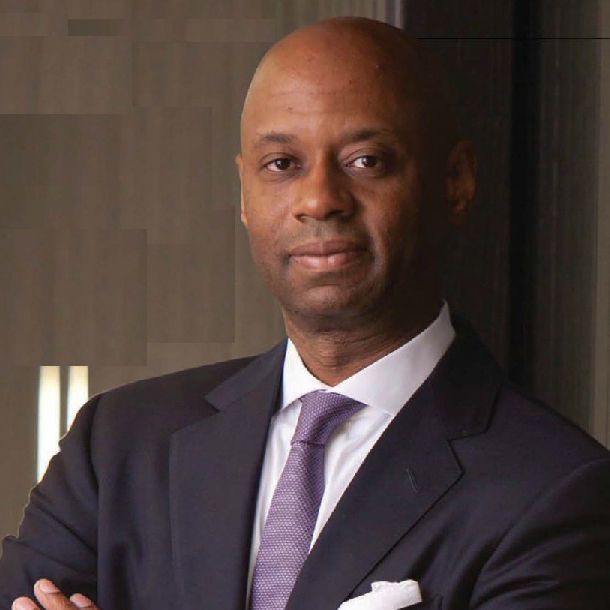 Prior to joining Citigroup, Mr. Mason held various positions at Lucent Technologies, Marakon Associates, a strategy consulting firm, and Goldman, Sachs & Co. He received a Bachelor of Business and Administration in finance from Howard University and an M.B.A. from Harvard Business School. Beatriz R. Perez was elected to our Board in May 2014. She has been Senior Vice President and Chief Communications, Public Affairs, Sustainability and Marketing Assets Officer since May 2017. Ms. Perez has served as The Coca-Cola Company’s first Chief Sustainability Officer since 2011, where she developed and led progress against comprehensive global sustainability commitments with a focus on water stewardship and women’s economic empowerment. She previously served as Chief Marketing Officer for Coca-Cola North America. Ms. Perez began her career at The Coca-Cola Company in 1996 and held various roles in brand management and field operations before becoming Chief Marketing Officer. She served on the Board of Directors of HSBC Finance Corporation from May 2008 through April 2014. Ms. Perez received her B.S. degree from the University of Maryland. Mr. Williams was elected to our Board of Directors in October 2009. 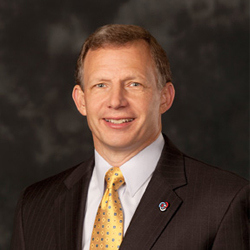 He has served as non-executive Chairman of Primerica since April 2015 and as Chairman from October 2009 through March 2015. He served as the Company’s Co-Chief Executive Officer from 1999 through March 2015 and has served our Company since 1989 in various capacities including as the Chief Financial Officer and Chief Operating Officer of the Primerica operating unit of Citigroup. Mr. Williams also serves on the Board of Directors of Crawford & Company, the Anti-Defamation League Southeast Region, the Atlanta Area Council of the Boy Scouts of America, the Board of Trustees of The Woodruff Arts Center and the Carter Center Board of Councilors. Mr. Williams received both his B.S. degree and his M.B.A. from the Wharton School of the University of Pennsylvania. Glenn J. Williams has served as our Chief Executive Officer since April 2015. He served as the Company’s President from 2005 to April 2015. Previously, he served as Executive Vice President of Field and Product Marketing for international operations from 2000 to 2005, as President and Chief Executive Officer of Primerica Canada from 1996 to 2000, and in roles of increasing responsibility as part of Primerica’s international expansion team in Canada from 1985 to 2000. He began his career with Primerica in 1981 as a member of the company’s sales force and joined the Home Office team in 1983. Mr. Williams received his B.S. in Education from Baptist University of America. 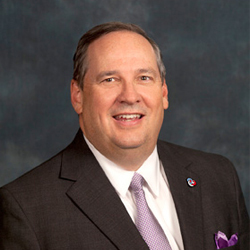 He currently serves on the board of trustees for the Georgia Baptist Foundation. Barbara A. Yastine was elected to our Board in December 2010. She served as Co-CEO of Lebenthal Holdings, a private asset management firm, from September 2015 to June 2016. She previously served as Chair, President and Chief Executive Officer of Ally Bank from March 2012 to September 2015 and as Chief Administrative Officer of Ally Financial, overseeing the risk, compliance, legal and technology areas from May 2010 to May 2012. Prior to joining Ally Financial, she served as a Principal of Southgate Alternative Investments, a start-up diversified alternative asset manager, beginning in June 2007. She served as Chief Financial Officer for investment bank Credit Suisse First Boston from October 2002 to August 2004. From 1987 through 2002, Ms. Yastine worked at Citigroup and its predecessor companies. Ms. Yastine also serves on the Boards of Directors of AXIS Capital Holdings Limited, First Data Corporation, Zions Bancorporation and The Charles Stark Draper Laboratory Inc. (a not-for-profit research and development company). She received a B.A. in Journalism and an M.B.A. from New York University.